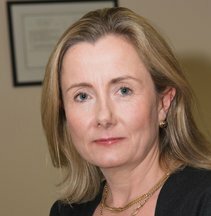 Jane Lanigan qualified in 1994 and has been working as a Solicitor in Dublin and Donegal for over 20 years. Jane specialises in Civil Litigation and Dispute Resolution acting for individuals, business owners and Insurance companies in relation to personal injury claims, commercial litigation and arbitrations. Jane also has expertise in the complex areas of medical negligence claims and planning and environmental law. With the Litigation team in Lanigan Clarke Solicitors Jane aims to provide a personal, efficient and proactive legal service to our clients with an emphasis on each clients requirements. I have used Lanigan Clarke on a number of occasions and cannot recommend them highly enough. Friendly, practical advice and highly efficient.